Location Location Location. Special thanks to the following venues for hosting all the great events for this year’s festival. These fine venues should be recognized as supporters of the festival, arts & cultural — and generally cool things happening in our valley. We appreciate their support. 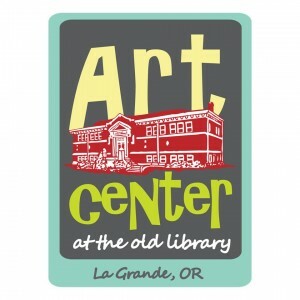 The Union County Art and Culture Center, dba Art Center at the Old Library, is a non-profit, 501(c)(3) organization located in La Grande, Oregon. The UCACC provides La Grande’s community with a place to experience and be inspired by art and culture through art exhibits, education opportunities, public events, concerts, community theater and more. 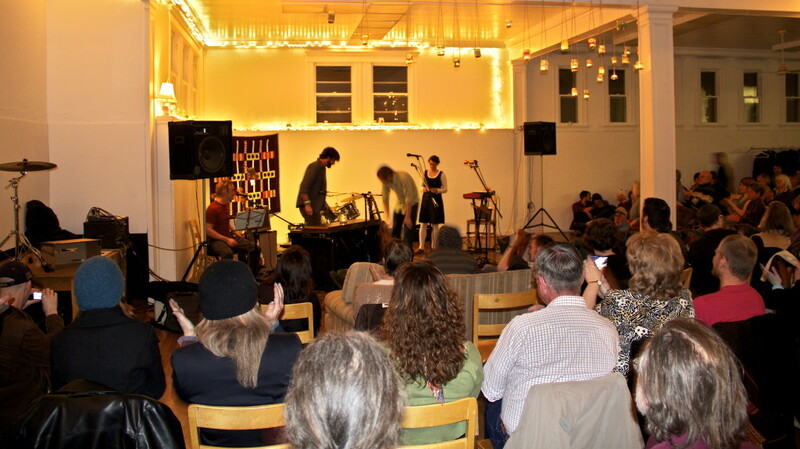 The Union County Art and Culture Center was established in December of 2005 and in 2008 moved into the Carnegie building in La Grande, Oregon. The Carnegie building is part of a series of Italian Renaissance Revival-style facilities built with funds provided to Oregon cities for the purpose of constructing public libraries in the early part of the twentieth century. In fact, the Carnegie Corporation of New York funded 31 public libraries in Oregon from 1901 to 1915. Thousands of construction projects were funded by steel tycoon Andrew Carnegiein the early 1900s. Read more about La Grande’s Carnegie Library here. 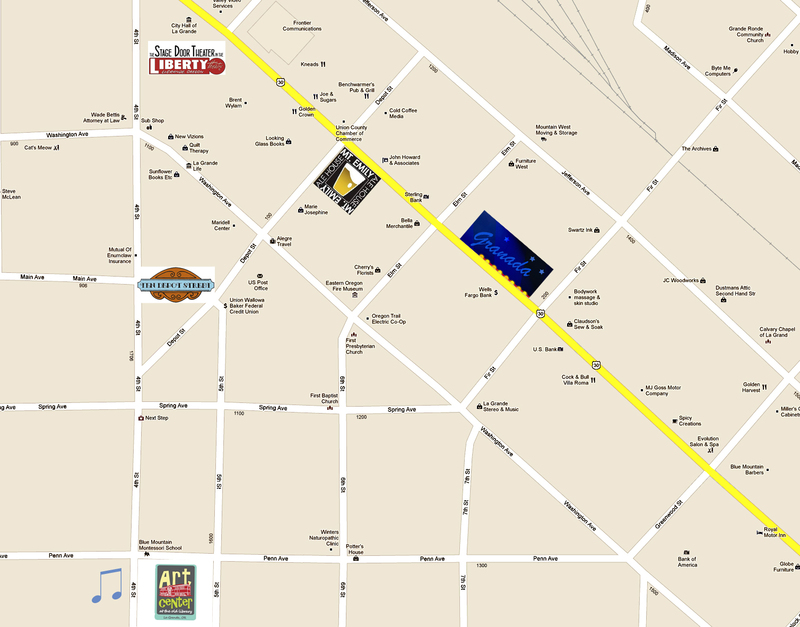 In 1927 La Grande Theatres was founded by Francis A Greulich who, in 1928, acquired The Granada Theatre. The historic theater went through a major renovation in 1952, and shortly thereafter the La Grande Drive-In was purchased. In ’72 The Granada evolved into a 2-screen venue and, in 1994, was split once again. 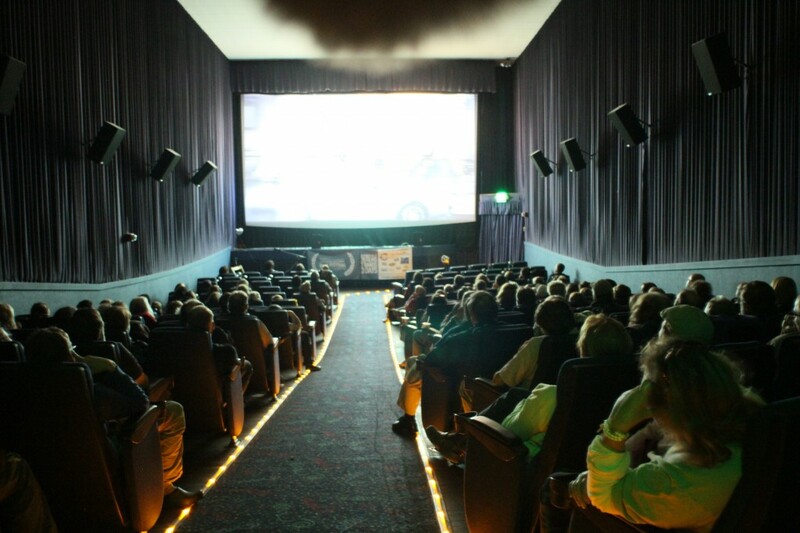 The now 3-screen mulitplex in historic downtown La Grande is equipped with all new digital Christie projectors, new Dolby 750 Surround Sound and Dolby 3D. All film projection equipment was replaced. This long-time community asset served EOFF in 2010 and once again will be the center point for independent film in Eastern Oregon. The La Grande Liberty Theatre was originally opened as the Orpheum Theatre in 1910 by owners Stephen A. and Madlin Gardninier.Early shows at the Orpheum were vaudeville performances rather than films.The stucco and brick structure was constructed as a two-story building with a three-story fly gallery over the stage. The lower floor sat 438 people and the upper balcony held 182 people. 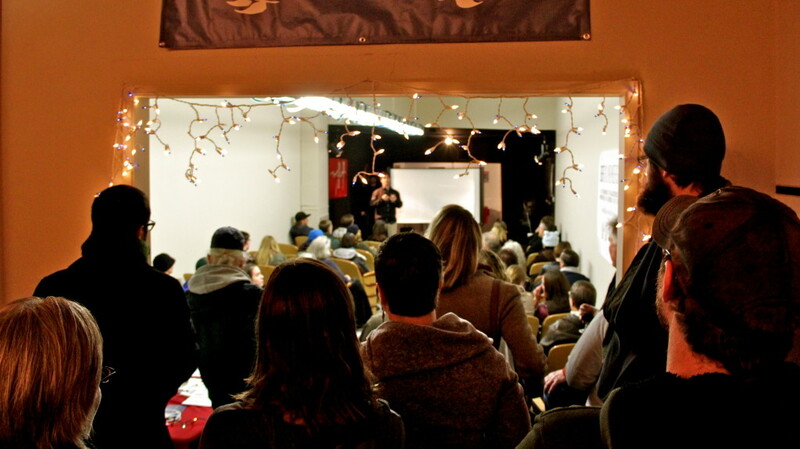 Our temporary space, the Stage Door Theater, seats 50 people and is located at the back of the Liberty Theatre. The theater contains original seating from the Liberty Theatre donated by the Elks Lodge in 2009. There has always been a restaurant at 10 Depot Street in La Grande, since the building was built as the ‘Oregon Hotel’ in 1908. Originally paired with a music studio and a cleaning and pressing shop, the then ‘New Home Restaurant’ only occupied a third of what the venue is now. The nationally famous photographer, Minor White had a studio in the building and was known to comment on the “house of ill-repute” upstairs. The upstairs was a hotel until the VFW purchased the building in 1948 and began meeting there. Ten Depot went through a few different restaurants before current owner, Sandy Sorrels, opened up “Ten Depot Street” (named after the address) – and remodeled it to reflect it’s original style. 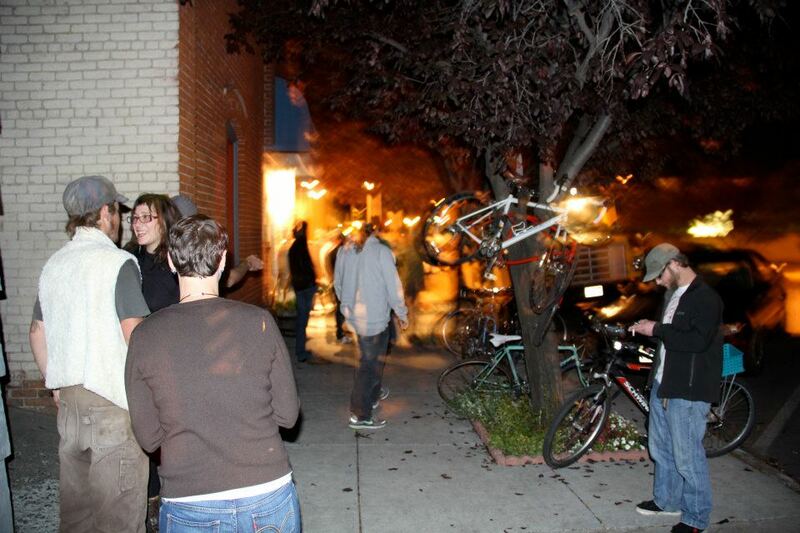 Ten Depot Street is the oldest music venue in La Grande – and some might say, the best we have. The building at 1202 Adams Avenue was built in 1900 and originally housed the U.S. National Bank. The original vault is even still intact in the basement! Since then, the building has housed two jewelry stores, a clothing store, and a lending corporation. 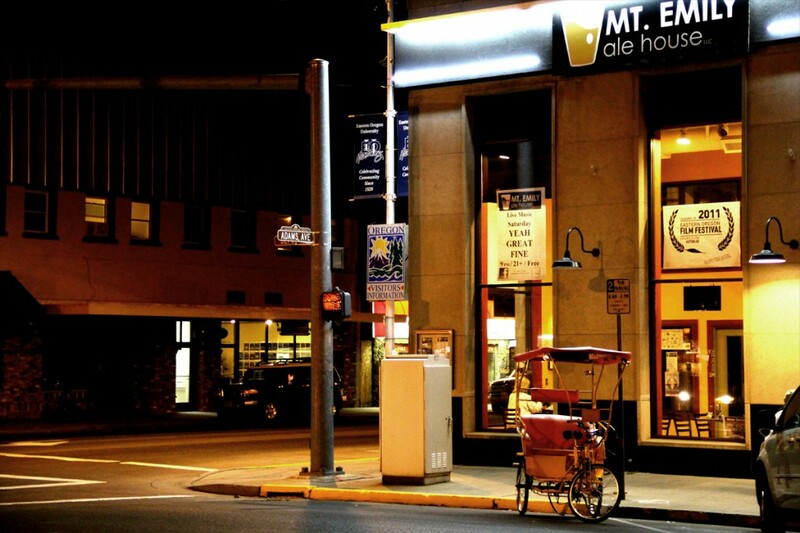 The building was remodeled in 2008 and converted into a brewpub. The opening of Mt. 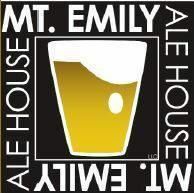 Emily Ale House in February 2009 was the culmination of years of dreaming and months of planning. Jerry Grant has been home brewing since 1992 and graduated from the UC Davis Master Brewers Program in 2007.